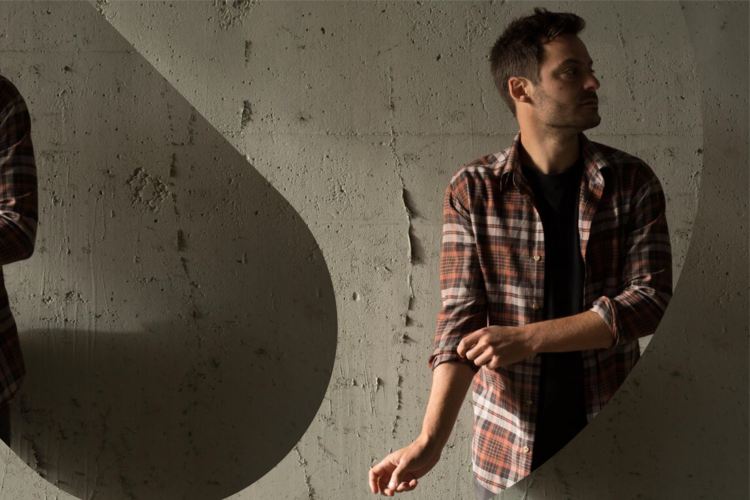 KRANE is an acclaimed producer whose sonic stylings flawlessly blend electronic, hip hop, and dance influences. His production skills and ingenuity have captured the attention of a wide range of fans and media outlets, with the likes of Billboard, Pop Crush, and NYLON praising his eclectic and powerful sound. In this article, we sat down with KRANE to discuss his creative process, famous bamboo snare, thoughts on using samples, and more. Over the years, you’ve made quite a name for yourself producing acclaimed remixes, singles, EPs, and albums that explore and blend an array of genres. For starters, could you give us a general insight into your creative process? How do you find inspiration for your music? My creative process really depends on what I’m in the mood for. Sometimes I go into the studio and have something in my head like a melody or just a feeling I want to capture. From there it’s like solving a puzzle, creating the parts that add up to the abstract idea that’s in my imagination. Often I start with melody and harmony – drums and things like that come later. But sometimes I really have no idea what I want to write, and that can be the most exciting time because I don’t know what’s going to come out of a session. I sample a lot of music and use Splice heavily, and it’s really just a process of collaging and something emerges. I once heard Flying Lotus talk a bit about his process in that way, and I think it stuck with me. Inspiration comes from anywhere – hearing something in passing on the radio, digging around random music on streaming services, and poking around Splice Sounds of course. I think I’m always sort of paying attention – even when I’m listening to things for pure enjoyment, a part of my brain is collecting ideas and tucking them away for later. On the more technical side, the sound design across your discography is incredibly ear-catching – everything feels very polished and meticulously crafted, from your larger-than-life synth leads to small percussive accents. How do you go about designing your various sounds? Any favorite or go-to hardware, plugins, or samples? It took me a long time to develop the craft of creating distinct and separate sounds within seemingly busy music. The skill I’ve really had to hone over time is taking things out to make room for what’s there. I’m a firm believer in switching up your process to keep things fresh, so while I may go a few weeks really using VSTs (I use Diva and Serum a lot), I’ll change it up and go a few sessions just using samples and seeing how far I can take them. Many of your tracks feature a very diverse palette of sounds. How do you keep your session organized when working in a DAW, and what sort of arranging and mixing techniques do you employ to make sure all these sounds are heard in the final mix? Nothing special – I use Ableton so I employ groups a lot. I also don’t nest samples within drum racks which makes for too many channels sometimes, but that way I can see everything and it’s easier to recall where a sound is for me. I also really mix as I go. I like to hear the song close to what it will sound in the end, rather than waiting until a song is finished to get into the mixing. And honestly, a lot of the process is just difficult to describe and comes from years of making lots of mistakes until things just slowly start to sound better. Lastly, the most important button is the “delete” key! You recently released your latest sample pack, “KRANE Samples Vol. 6.” Can you describe how you went about putting together the pack? How is this sample pack different from previous installments? Every pack grows as I do as a producer. The sounds are largely taken from my most recent collection of releases, so Vol. 6 draws from some remixes I’ve done as well as the recent SESSIONS album I released. My sounds have gotten “smarter” I think – they tend to fit better in my mixes, and account for some of the “mistakes” I’ve made in the past (over-compressing, under-EQing, etc). I’m really excited about this pack – I think of all of them, it’s one I actually use the most right now. Speaking of your samples, your bamboo snare sample has been the single most popular sound on the Splice catalogue for quite some time! Can you explain how you created that sound in particular? Did you ever expect to hear a sound you created in so many productions, small and large? Honestly it was just a sampled bamboo stick with some reverb and EQ. I made it for this song “Propane” I was working on. I wanted something a little different for it, something woody and acoustic. I never expected it to blow up like this. I hear it in all of these songs, and I hear how there’s actually this family of snares in trap and pop music right now that I think are very related to it. It’s nice to think I made some mark, albeit subtle, on the music scene in general. Just makes me smile. On that note, have you noticed any other samples or production techniques appear across multiple tracks? Where do you feel electronic music is headed as a pioneer in the scene, and how do you think sampling and its ubiquity play a role? Does widespread access to the same samples reduce musical diversity, or does it level the playing field? Well, I’ve never been really good at trend-spotting in music. I think if anything, I’ve struggled to fit in – my early music was so left field that I really had to work to get it to fit in the genre. So, for me, I don’t have, nor have I ever had, well-formed ideas about the future of the scene – and I like that about myself. I think it keeps my music a little weird. I don’t think the ubiquity of access to similar samples has a negative impact. Certainly it levels the playing field, but electronic music and production has been a steady process of this and it has never inhibited the really original producers from standing out. If anything, when everyone has the same access to these tools and quality sounds, it means we should get more originality, and those people will be easier to spot. I think it’s exciting. You’ve also put out “SESSIONS Vol. 2” just a few weeks ago. To those who may be unfamiliar, could you describe what “SESSIONS” is about, and your thoughts on how community and collaboration impact music creation? SESSIONS is a side project I started to help spot some up-and-coming producers and get their name out there by collaborating with them on music. It was also a way for me to just keep having fun and working on a variety of styles of music. I open submissions and producers of all styles and sizes send in their demos. I pick a handful to collaborate with and turn their rough demos into releases. It’s been really amazing, first to know that in some way I’m helping some of these people reach a new audience, but also because through collaborating you get to see so many different ways of working. I’ve learned more about production from working on collaborations than any other manner, so I think it’s a really valuable method to keep growing as a producer. Take your productions to new heights with the latest sonic stylings of KRANE. Harrison Shimazu Harrison Shimazu is an editor of the Splice blog and a composer for video games and film.